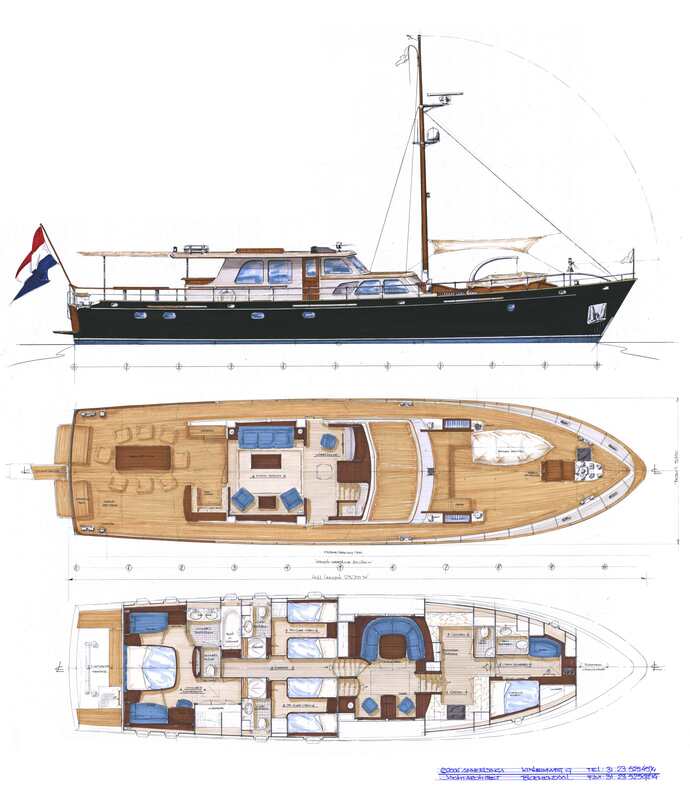 Retroclassic motoryacht build to Bureau Vertitas standards. Steel Roundbilge hull and flaired bow. skylights and a large oregon pine mast build in house. Designed by Anne Elsinga, engineered inhouse.